The temperature of your backyard swimming pool determines how comfortable it will be for you and your guests. But it also plays an important role in keeping your pool safe. So what is the ideal water temperature for a swimming pool? The answer depends on how the pool is being used. Your backyard swimming pool should be no warmer than 84 degrees F (29 degrees C). If the water temperature rises above that, it can cause bacteria, algae and under organisms that thrive in warm water to reproduce more quickly. Pool water that is too hot also can cause dehydration, muscle cramps, and overheating of the body. That is why it is not recommended that you spend too much time in the hot tub. While it’s important that your pool not be too hot, it also shouldn’t be too cold. This can be harmful to both swimmers and the chemicals used to keep your pool safe. 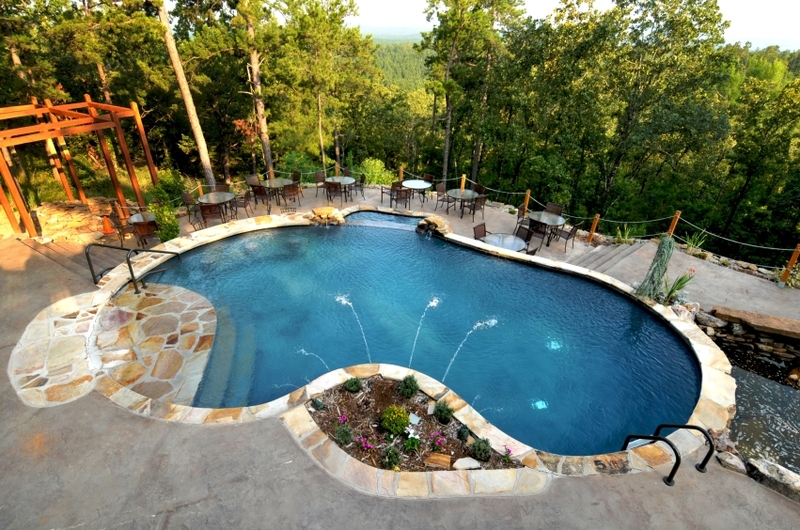 If your pool is not heated, then it will eventually take on the temperature of the outside air. And if the temperature outside falls below 60 degrees F (15 degrees C), it can cause the salt chlorine generators to fail. These are what help control the reproduction of microorganisms. If the water is really cold, it can shock the system of swimmers who jump into it, possibly resulting in cardiac arrest. Pools that are used for competitive racing or water polo are generally kept a little cooler than recreational pools. It is important that athletes perform under the same set of conditions. International sporting organizations require that water temperature for competitive swimming be kept between 77 and 82 degrees F (25 to 28 degrees C) for racing and 81 degrees F (27 degrees C) for synchronized swimming.